Wounded Times: Firefighters save homeowner after heart attack and from HOA fines! 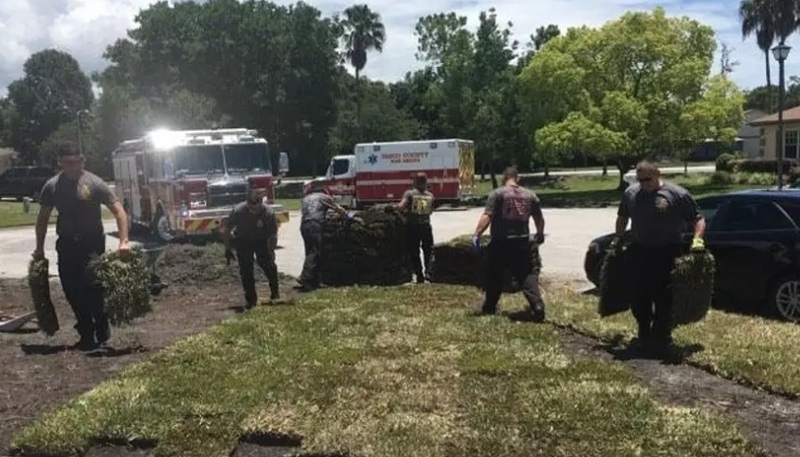 Firefighters save homeowner after heart attack and from HOA fines! Firefighters in Florida helped save the life of a man who was having a heart attack – and then finished laying down grass sod in his garden so he did not get into trouble. Gene Work had been installing the grass palettes in his garden, anxious to get it done quickly for fear of a fine from the homeowners association, when his heart attack began, according to his wife who shared the story on Facebook.